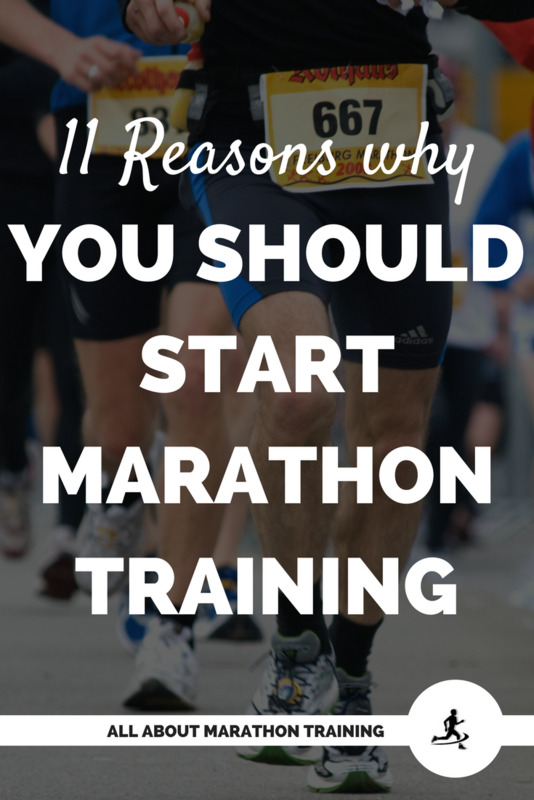 Marathon Training: 11 Reasons to Start Training! 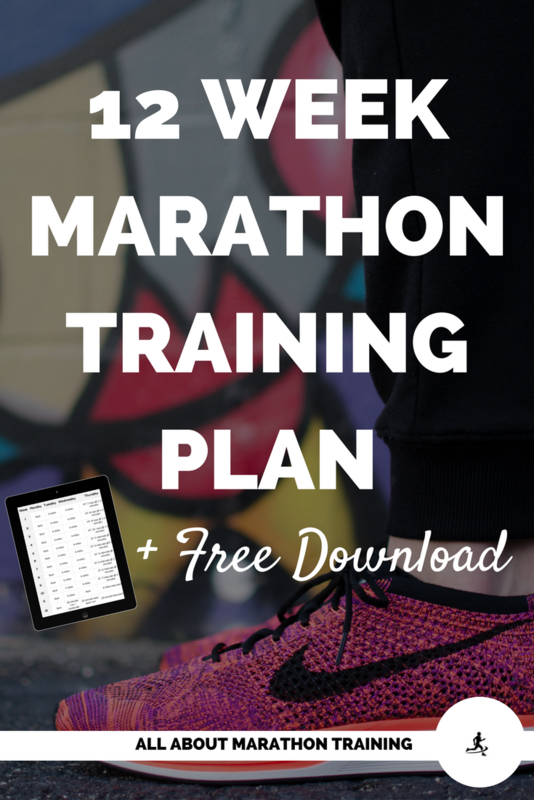 Marathon Training is something that will change you. It takes a lot of effort and discipline and when you are putting in hard work at that level then you can expect to grow and change! 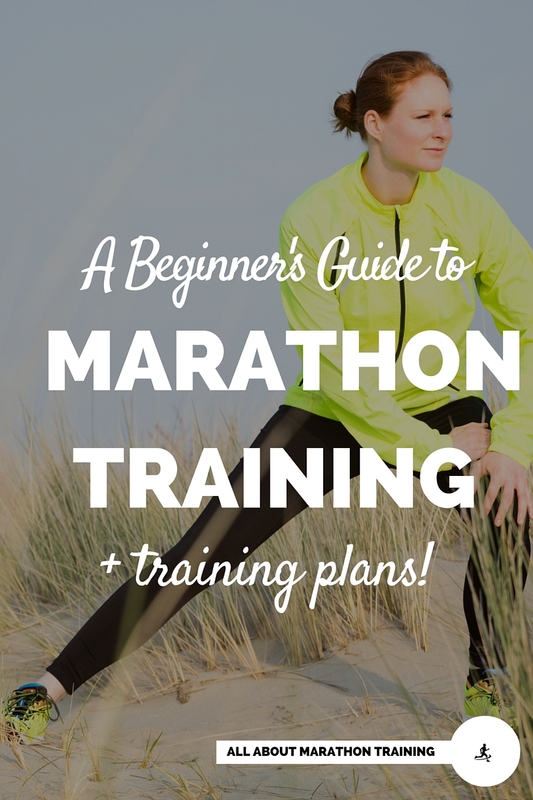 Here are 11 reasons why you should run a marathon + marathon training plans! 1. Running is a great stress reliever. 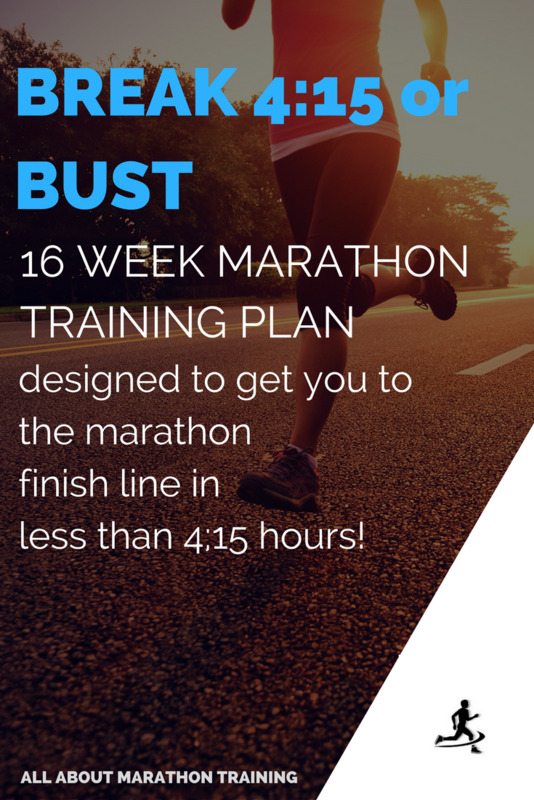 Compared to other sports, the long run during marathon training not only gives you an endorphin rush but it helps you think, and focus. You do not need to contrate on other teammates or opponents, strategy, tactics, etc. You simply have to watch where you are going and go! If you have been feeling overwhelmed, stressed out, and down on life, running will help pull you out! It is actually a stronger antidepressant than any drug out there! 3. The people that you meet at marathons are some of the nicest (and healthiest, and fittest)people you will ever meet. 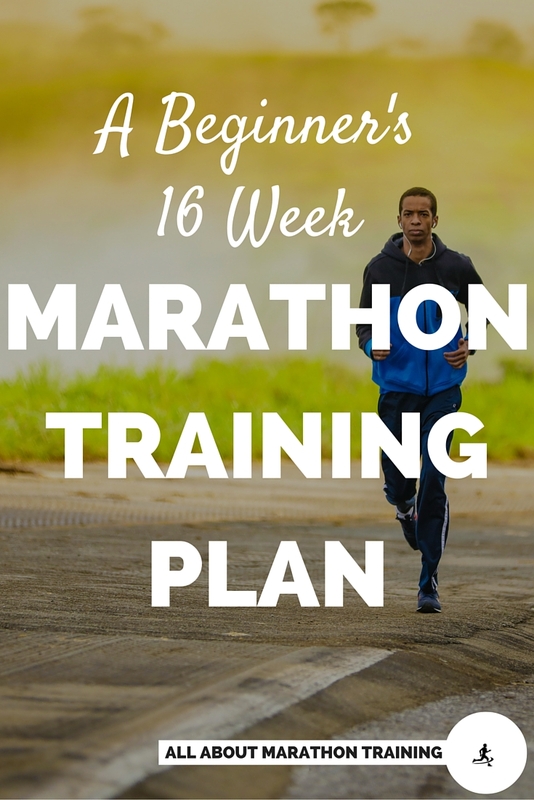 It takes a motivated, inspired, and disciplined person to put in the hard work of marathon training. 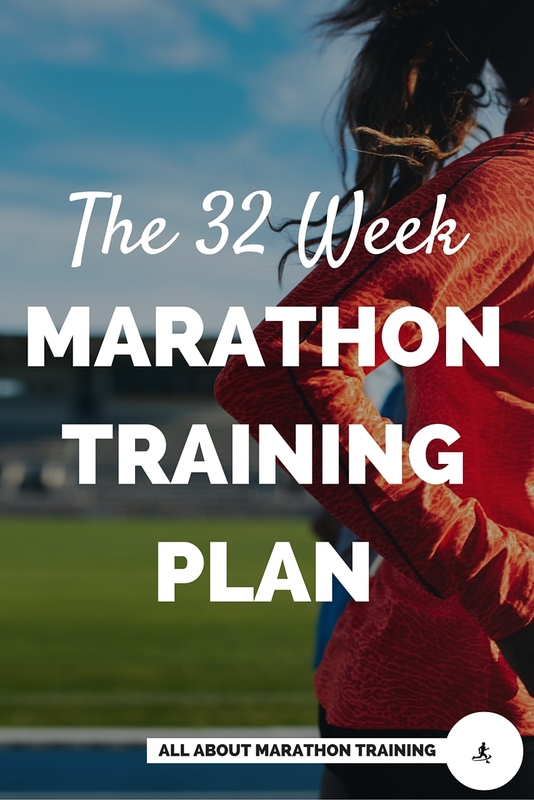 There's some serious goals that are being made and kept for weeks to get them to the finish line! You know what they say about surrounding yourself with people who are successful. Well there is a whole crowd of people who set goals and are crushing them at a marathon. 4. It's the quintessential point of a running career. 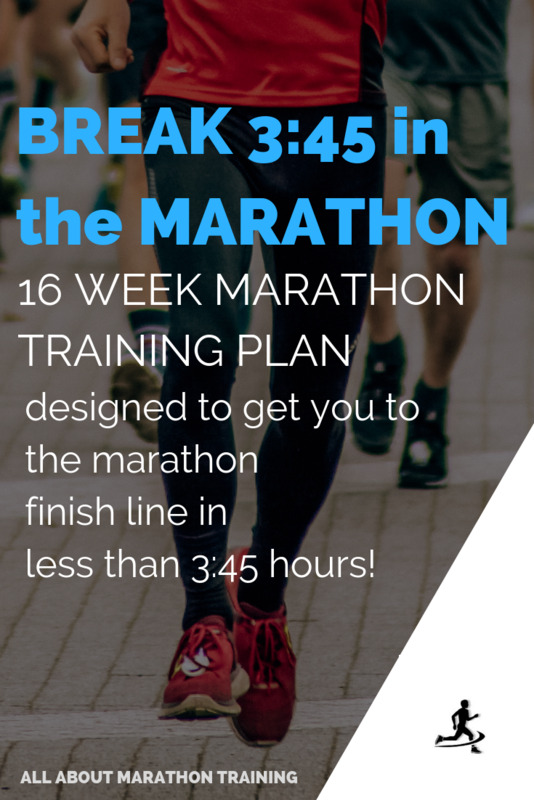 As a runner one of the ultimate achievements that runners want to earn is that marathon finish. It's a huge achievement and one that does not come without hard work. But it’s something that will be yours forever! 5. It will help you to become the best version of you! Not only physically (lose some weight, build toned legs and abs - if you are engaging them!) but will give you unseen benefits as well! Setting and then achieving your goals is a huge confidence booster and also increases your self-esteem. Running a marathon is no small feat to accomplish and so the more effort the greater the satisfaction in the end. 6. Hard work has a way of defining us. We can learn a lot about someone by the work and effort that they put into something. It shows that they have character and tenacity and that they are not afraid to dive in and get things done. 7. You can indirectly make more money. 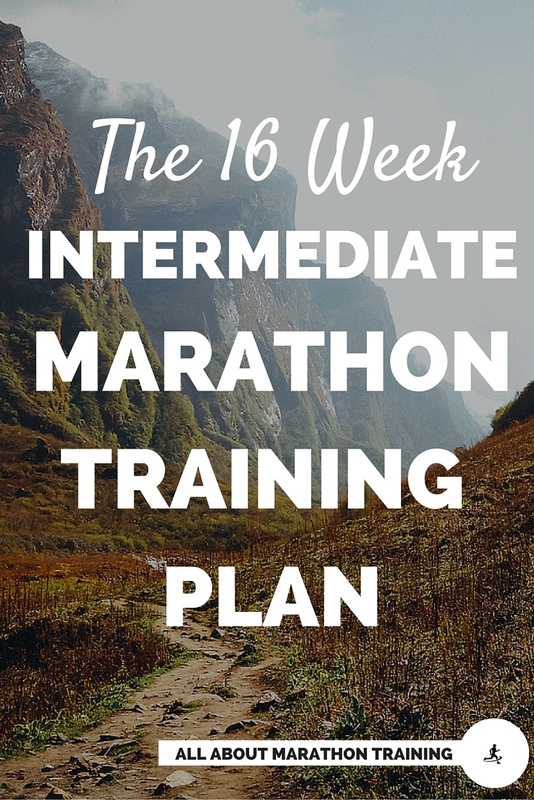 Sounds ridiculous but putting the fact that you trained and ran a marathon down on your resume shows that you are someone who can make and keep goals (hard goals) for yourself. It shows that you are hardworking, not afraid of pain, and not afraid to challenge yourself. It says that you take care of yourself and your health and will show up and make things happen! 8. For the fun of it! The sheer experience! It is a bit crazy to go out and train to run 26.2 miles. Embrace it and have fun with it. Laugh about it - you're going to experience some crazy things while training and running a marathon so never forget to look at the light side and laugh! 9. It sets a precedent and makes the statement that you take yourself, your health, and your goals seriously. This is something that will not ever be taken away from you. If you have kids it’s a great way to take a stance on your health. Most adults who are regularly active and take their health seriously usually had at least 1 parent who set the example to exercise and take care of themselves. 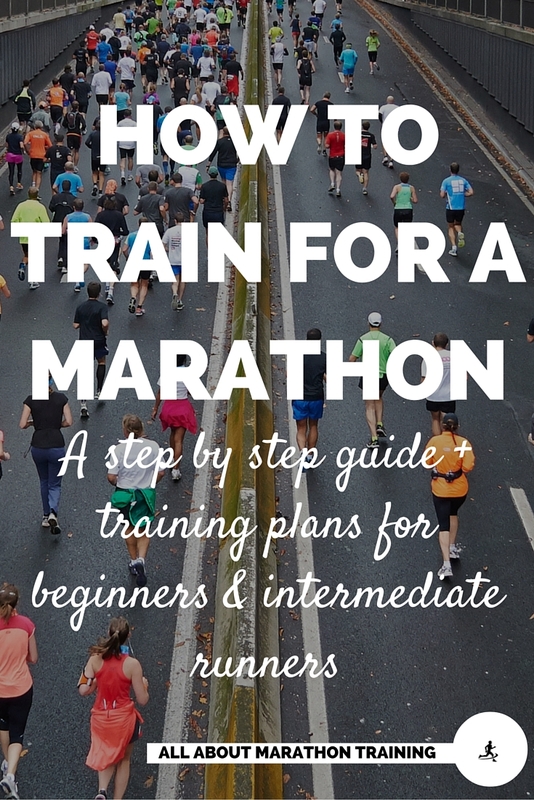 Training for a marathon can get you into the habit of regular exercise and give your children an example that they will hopefully follow one day. 10. It's good to do hard things. We are happiest when we are consistently challenging ourselves and pushing forward. Don't lead a life on the path of the least resistance. Challenge yourself! Make yourself work hard for something. Test yourself both mentally and physically! 11. It's a wonderful life experience! You will find out so much about yourself and the world while you are out there. 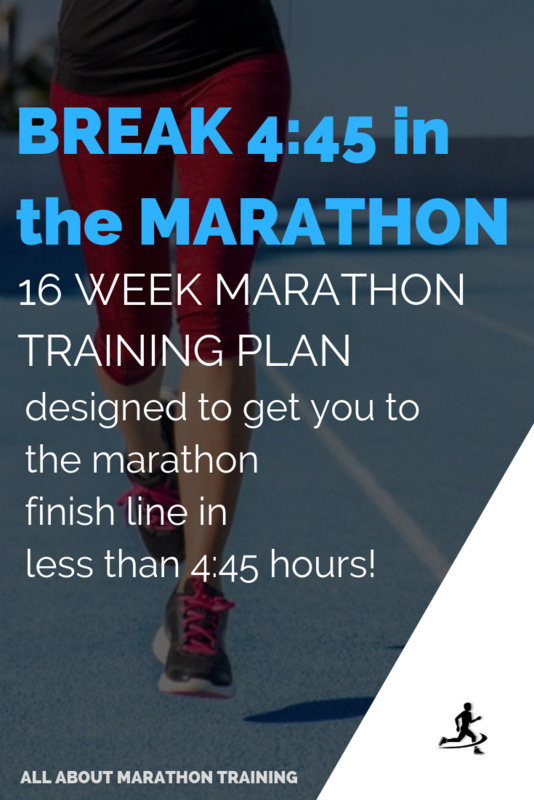 Whether you are running a long run alone or it's the last final surge to reach the marathon finish line, you will be learning! 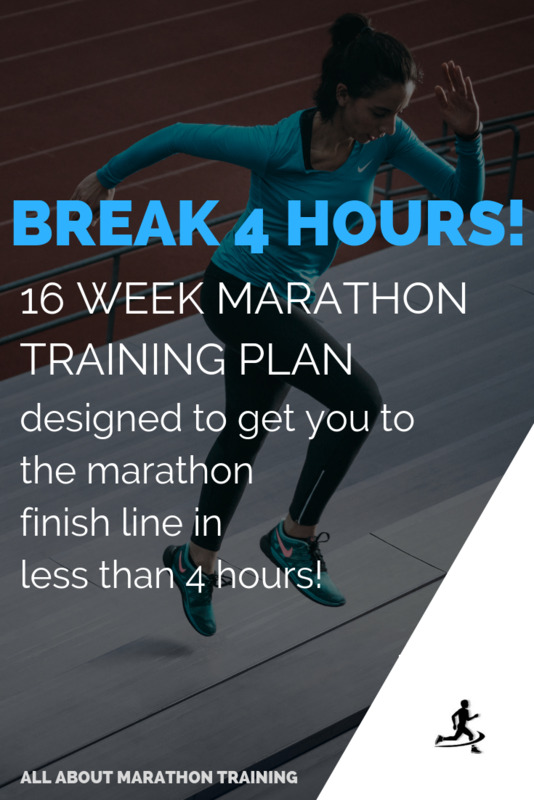 Take the opportunity to train and run a marathon while you still have the ability. Get ready for some interesting stories that will come your way. And be proud of yourself! 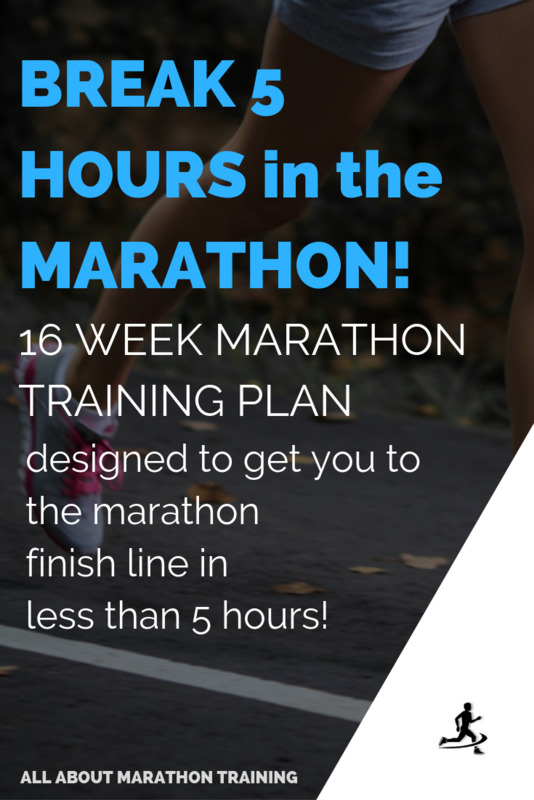 Marathon Training Plans to get you started! 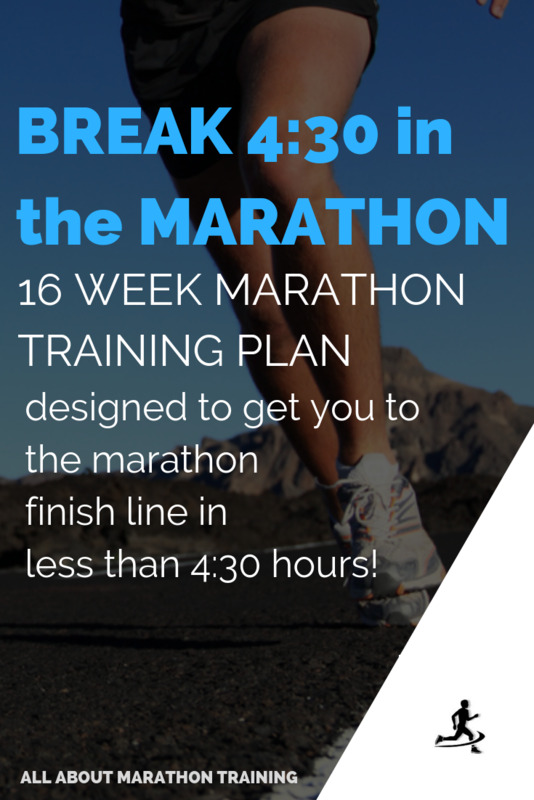 Break 4 Hours in the Marathon! Break 4:15 in the Marathon!